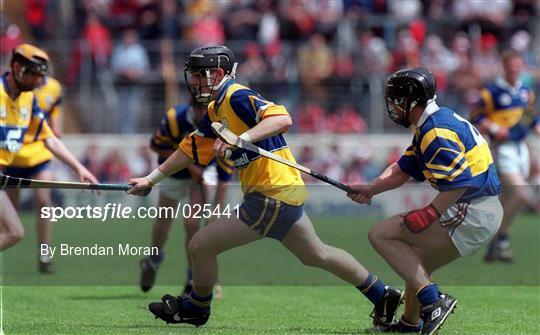 It’s not an exaggeration to say that solving overall clashes hasn’t been a priority in Gaelic games – as evidenced by a number of examples. However, last Sunday provided an unusual instance, with unusual results. Tyrone and Louth, who met in Division 3A of the Allianz Hurling League, traditionally wear shirts and shorts which are reversals of each other. 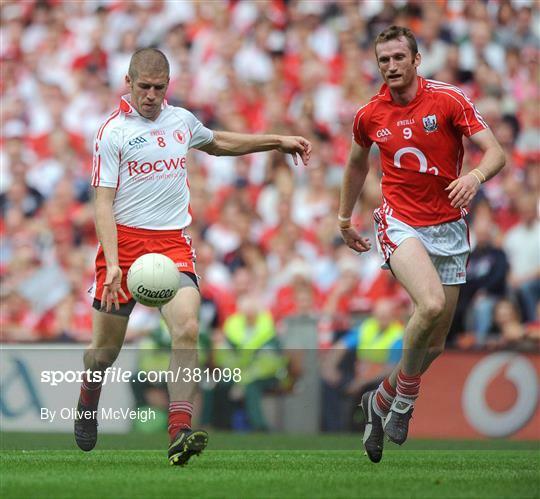 Ordinarily, it wouldn’t be considered enough of a colour-clash – in 2009, Tyrone’s Gaelic football team played Cork (the same colours as Louth) in an All-Ireland semi-final with both in their usual strips – but this time there was a change. There were two, in fact. In the GAA’s Official Guide, it is stipulated that both teams wear alternatives if a clash arises, though in practice it’s often the case that only one does. 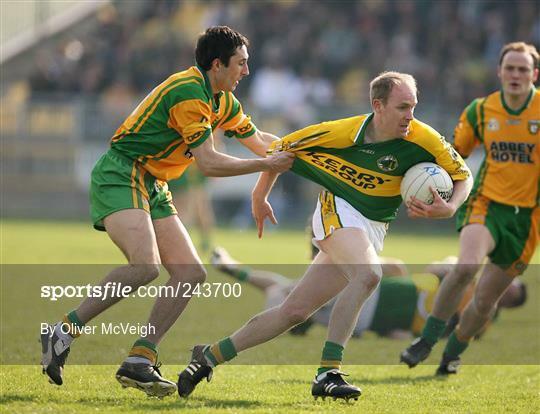 In this particular case, though, both counties’ change options are the opposite to their primary jerseys. So, on Sunday, we saw this, with each team wearing something which very closely resembled the other’s first-choice tops. To be fair, the solid blocks of colour do make it less of a clash, but it’s still strange. Logically, the way to go would have been the World Cup route and have both teams retain their normal jerseys but change shorts. 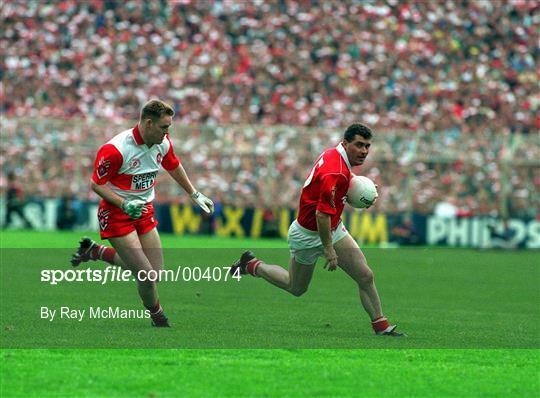 Generally speaking, such items don’t exist in the GAA universe but Tyrone are one of the few who have them, wearing them when they play Derry, whose first-choice jersey is white with a red band. For a few years earlier in the decade, all-white was even Tyrone’s default look. Whether Sunday’s change was by arrangement between the counties, down to the referee or the GAA itself getting stricter, we can’t say. We shall be watching to see if any similar occurrences are dealt with in the same fashion.